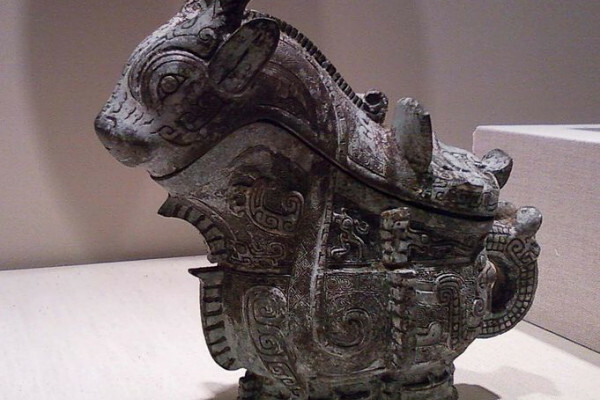 How do we date ancient artefacts? Historians and archaeologists talk about ancient artefacts or structures that are so many thousands of years old. How do they date these objects? Is it just from carbon dating? And did these ancient civilisations have some sort of time and date recording system in place then as well? Diana - Well, the answer is a bit of both. Sometimes archaeologists make use of the dates recorded by the civilisations, but most of the time, it's better to get a carbon dated check that these timeframes are accurate. When you have a king proclaiming that his ancestor ruled for 400 years for example, (it does happen) you'll want to check this out with other evidence. Now archaeologists use a number of tools to put dates on things they find and they tend to fall into two categories - absolute and relative. With relative dating, dig finds are placed in order and that can be done using stratigraphy. Stratigraphy refers to the layers of Earth or mineral deposits in which remains are found and the deeper you go, the older the layer will be. Another relative dating technique uses typology. Humans tend to go through fashions in the many things they make, whether it's pottery, road building, house construction or metal forging, we can usually identify what period the objects we find belong to. But this is only because we already have a back catalogue with which to compare them. And it's why you'll often hear an archaeologist pull a broken unimpressive bit of pottery out of the ground and exclaimed with excitement. It's usually quite useful for dating that stratigraphic layer with. Hannah - But surely, sometimes these layers get mixed? Old bits of pottery might be used for generations or what happens when someone goes against the fashion trend? In this case, an absolute dating technique is required. Back to Diana. Diana - Carbon dating is probably the best known chemical technique although there are others. When organisms such as people, animals, crops and trees are alive, they're continuously exchanging carbon with their environment. There are two main types of carbon out there. The one we're interested in is carbon 14 because it's unstable. When an organism dies, that carbon 14 starts to decay at a measurable rate. All you need to do to work out when that organism died is to see how much carbon 14 is left in proportion to the other forms of carbon. So, to sum up, the Mayan civilisations did have a calendar of their own, the one that was post in last year and sometimes they were kind enough to leave dates from carvings and encryptions about their rulers. They didn't however leave dates for the minutiae of daily life. And that's when we need absolute dating. Hannah - Thanks Diana O'Carroll for a trip through the dating world and, as Evan_au points on the forum, there are other clever archaeological tricks like optical dating which examines when buried minerals were last exposed to daylight. Previous Are city dwellers more immune to bugs? Next Is sleepiness related to cheerfulness?